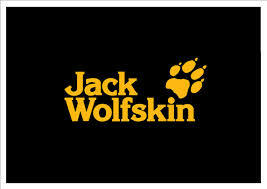 Jack Wolfskin is not a brand that you hear a lot about in Australia. But in Europe, this is a hugely successful and highly regarded manufacturer, founded in Germany in 1981. In fact, many people who have products by this company, lament the difficulty in obtaining the gear here in Australia. When Cotswold Outdoor offered us an opportunity to review the Pounder Sleeping Bag, we were very excited to try this brand out for ourselves. Shell: Softtouch Ripstop 15D - which is highly breathable and durable ripstop fabric. Due to the close weave, it means its downproof. Lining: Softtouch 20D - its silky, breathable and downproof polyester lining. It's a 700 duck down filled bag (in the main section, excluding the zip flap and footbox; those areas use a fibrefill synthetic insulation, which is designed for extra warmth due to the insulation properties). Temperature rating: This is a summer sleeping bag, and comes with a rating of 11 degrees Celsius and comfort level of 14 degrees. What this means for us, is that we would only use this on warmer nights as a standalone bag or use it as a liner to increase warmth in another bag. It is mummy shaped and weighs in at 460g, so a good lightweight size. A mesh bag to store in (when not camping) plus a carry sack are provided. This bag feels silky smooth and extremely light when we first unraveled it. We allowed plenty of time to loft up, to ensure we got maximum benefit from it. As a mummy shape, there was plenty of wiggle room in the bag, and it feels luxurious, yet so light. The zip did not snag on any part of the sleeping bag, which is always a relief! As mentioned, as a summer bag, this would be a great choice for those warm nights we have (especially in Adelaide where the night time temperatures stay high) So I can definitely see how this would make a more comfortable choice for sleeping than some of our other sleeping bags. But we were testing this bag, not in summer, but in autumn, where the nights are still cool. As a cold sleeper, I couldn't use this as a standalone bag, but it is a welcome addition to increase my warmth on some of the other bags we own (see the review of the Black Wolf Zambezie, where the Jack Wolfskin Pounder would definitely be needed). It has additional insulation in the footbox (where your feet can sometimes feel the chill), and whilst I knew that, I couldn't say I felt any big difference, where my feet were a little warmer than usual! But then again, as regular readers of our websites would know, I am always feeling the cold, and it does take me a longer time than a normal person (!) to warm up. Jack Wolfskin does have another version of the Pounder - the Pounder XT which is extra long and wide, with a lower temperature rating - so keep that in mind when choosing which Pounder to buy. What sort of camper would like the Pounder? The Pounder is priced at AUD250 which is very reasonable for a down filled sleeping bag manufactured by a top rated outdoors specialist brand. We own a similar brand bag - MacPac Escapade 150, which is 600 Loft, and that comes in at the same price, and is heavier. So in terms of value and quality, the Pounder would be a better buy. But where to get it? ﻿ ﻿﻿Cotswold Outdoor﻿﻿ ﻿ deliver to your door in around 5-7 days, for the bargain rate of $9 (flat rate). This store also ships a lot of products that we can't get readily in Australia (or we are paying exorbitant prices for here in the stores). This item was gifted to Go Camping Australia by Cotswold Outdoor for the purpose of this review - for further information on our unbiased reviews, please read our Disclosure Policy.